Welcome to the Bronx sign in Point Morris. Photo: Chris Arnade. In the last two decades, cross-discipline partnerships have formed to address the upstream factors that influence health by combining social, environmental, economic, and policy strategies with health services. Last month, a diverse partnership of community-based organizations, healthcare providers, city agencies, and other technical experts launched the Bronx Healthy Buildings Program. The initiative aims to reduce asthma-related hospitalizations in the Northwest and Central Bronx. Through a multifaceted program that leverages the expertise of all partners, the project intends to promote health equity while also reducing energy consumption, creating high-road jobs, and building community power. As the risk of illness has shifted from infectious to chronic diseases in the last century, research has expanded beyond the biological causes of health to also address the social factors that influence health outcomes. By the 1980’s, mounting evidence suggested that medical care services were not the most important determinant of health and that the city played a crucial role in determining the health of those living within it. The Healthy Cities movement formed around the argument that you can’t approach an individual health issue without addressing the characteristics of the physical context in which the issue manifests. The founders of the movement advocated for public policies that considered economic development, housing, the environment, education, recreation, food security, and social inclusion as mechanisms to promote good health for all. These factors would later be coined by the World Health Organization as the social determinants of health and become a primary focus for public health policy. 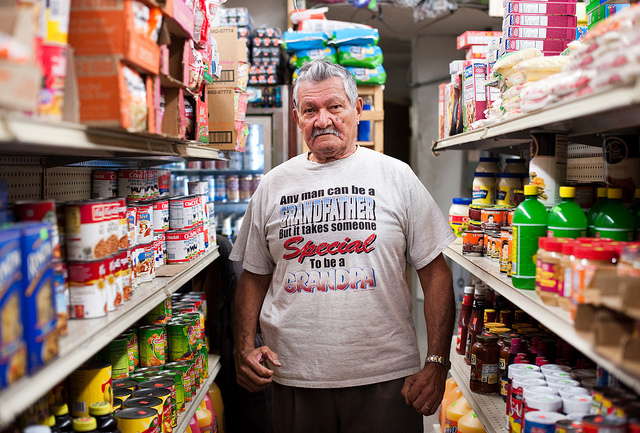 Bronx resident, Santos, poses in a bodega (small grocery store) in Hunts Point, Bronx. Photo: Chris Arnade. Today, public health statistics illustrate how sensitive health is to the economic, physical and social conditions in which a person is born, grows, and lives. The differences in living conditions contribute to significant health disparities: people further down the social ladder often face twice the risk of serious illness and premature death as those near the top. These health inequities are not only apparent between people of different socio-economic groups—they exist between different genders and different ethnic groups. 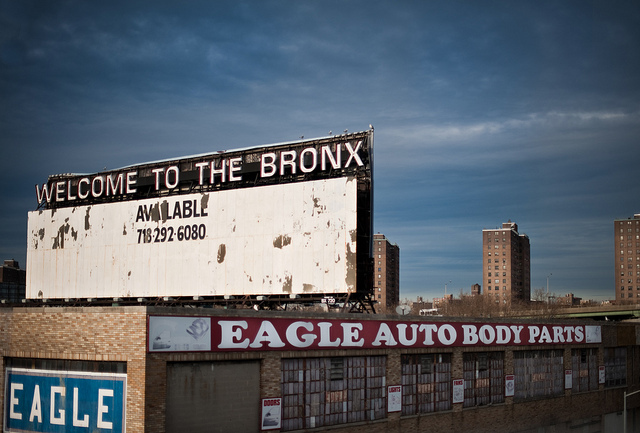 Because of its demographics, the Bronx has historically faced many barriers to health equity. For example, in the last 40 years, more than a quarter of Bronx residents have lived below the federal poverty line—a rate that is actually increasing with each decade. Many residents spend more than 30% of their income on housing expenses. These economic disadvantages limit access to the material resources needed for health such as safe living conditions, recreation spaces, and healthy food. Bronx residents are also predominantly black or Hispanic, two marginalized groups that face social discrimination. Studies show that racial and ethnic stigmatization yields psychological consequences that can be traced to chronic illnesses like hypertension or cardiovascular disease. People living in the Bronx also bear a disproportionate share of environmental hazards and have less access to health care services than other New York City residents. In almost half of the community districts in the Bronx, the likelihood of living in a distressed multifamily property is in the teens. 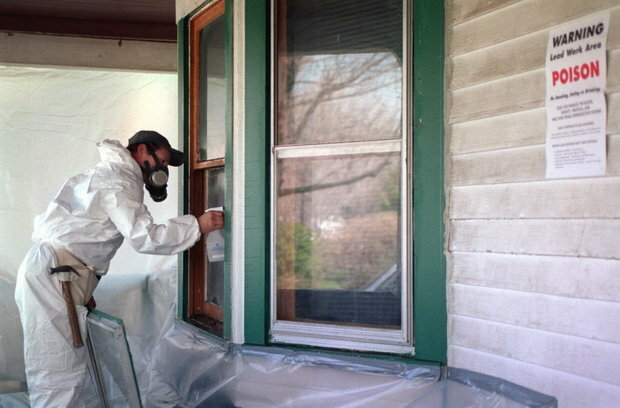 Tenants in these distressed properties live among health hazards like rodents, cockroaches, dust, and mold – factors that may be triggers for asthma sufferers. Meanwhile, studies in the South Bronx have mapped about half of all elementary schools to locations within 200 meters of industrially-zoned land and/or a truck route. The daily exposure to fine-particle pollution is likely a contributing factor to the asthma hospitalization rate of Bronx residents, three times the rate of New York State. 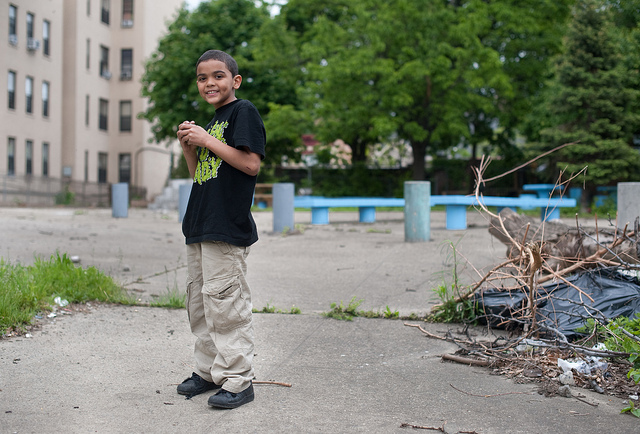 A young boy, Jacob, plays in an abandoned playground in Hunts Point, Bronx. Photo: Chris Arnade. According to the Robert Wood Johnson Foundation’s County Health Rankings assessment, Bronx residents consistently have the lowest ranking for quality of life and life expectancy of residents in any county in New York State. In addition to asthma, they experience a high incidence of diabetes, obesity, cardiovascular disease, and mental illness. A quarter of the population describes their health as fair or poor, and Bronx residents outpace the rest of the state in the number of poor physical and mental health days experienced. Because the health issues of the Bronx reflect numerous barriers to health equity, the Bronx Healthy Buildings Program aims to tackle multiple determinants of health with an inclusive, holistic approach. The initiative addresses the building conditions, behavioral patterns, and economic insecurity that all contribute to asthma-related hospitalizations. By creating new opportunities for collaboration amongst community members, health care professionals, and city agencies, this partnership hopes to make the Bronx a leader in innovative community health solutions.